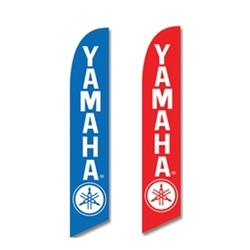 My Dealer Supply - Yamaha<br>"Flag Only" or "Flag & Pole Kit"
THE ORIGINAL SWOOPER! Draw attention to yourdealership with these great 15 ft. tall swooper flags. A great tool toget your location noticed!